The TECNO PhonePad 7II is the successor to the TECNO DroiPad 7C Pro. The launch of the Tecno PhonePad 7II comes just a couple of weeks after the launch of the Tecno DroiPad 8II. Unlike the DroiPad 8II which is marketed as a budget tablet, the PhonePad 7II is in fact a Phablet as it is optimized to be used as a smartphone. The PhonePad 7II features a 7.0-inch IPS LCD display. The display boasts of a 600 x 1024 Pixels resolution and a 170 ppi display resolution density. The Tecno PhonePad 7II boasts of a generic Phablet design, but the 7.0-inch display makes to the PhonePad II to look more of a Tablet than a Phablet. A 1.0 GHz Quad Core powers the Tecno PhonePad 7II. This is coupled with some 1GB RAM. You get 16 GB as internal memory for your files and a Micro SD slot that supports up to 32 GB of memory. The Tecno PhonePad 7II runs Android 5.1 out of the box and this is kind of a deal breaker as it would have been super awesome it the Android 6.0. However, Android 5.1 running on the Tecno PhonePad 7II features a number of features optimized to run on the tablet. The Tecno PhonePad 7II is powered by a Li-ion 4100mAh. The battery provides enough battery juice to last a day while on a single charge. 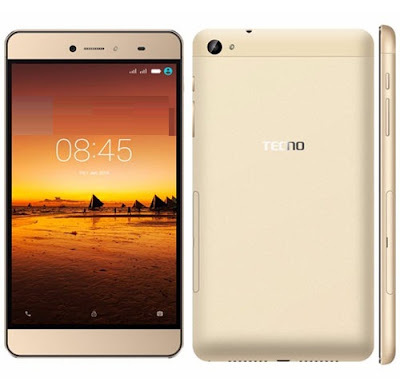 Rivals of the Tecno PhonePad 7II include the Tecno DroiPad 8II (Ksh. 17,499) and the Samsung Galaxy Tab A4.